China’s steadily slowing economy is doing little for the country’s major ports, most of which recorded flat or slightly declining container throughput in the first half and, with little sign of an approaching peak season, some must surely be heading for negative growth this year. The top 20 Chinese ports handled 90 million twenty-foot-equivalent units in the first six months of 2016, just over 1 percent more than during the same period last year, according to data from the Shanghai Shipping Exchange. China’s port flagship of Shanghai, the world’s busiest container port, recorded a 1 percent decline in first-half volume year-over-year with 17.8 million TEUs crossing its wharves, about 134,000 TEUs fewer than in the first half of 2015. The declining volume could be more starkly seen at individual terminals. According to COSCO Shipping Ports, the terminal operator formerly known as COSCO Pacific, throughput at its terminals in the Yangtze River Delta fell 4.4 percent in the first half. First-half volume at the combined Ningbo-Zhoushan port complex, the third-busiest container port in China, was actually up almost 3 percent, despite COSCO Shipping Ports’ Ningbo Yuan Dong Terminals registering a 34 percent decline in the first six months. In the Pearl River Delta, China’s second-busiest port of Shenzhen, which comprises Yantian, Chiwan, Shekou and Dachan Bay terminals, recorded a 1.4 percent drop in first-half volume to 11.4 million TEUs. China’s manufacturing activity continues to contract with the China Caixin purchasing manager’s index falling to 48.6 in June, down from 49.2 in May. Anything under 50 indicates contraction in factory output, and June was the 16th consecutive month that the index has shown contraction. It was also the weakest reading since March as output fell the most in five months amid a further drop in new orders. 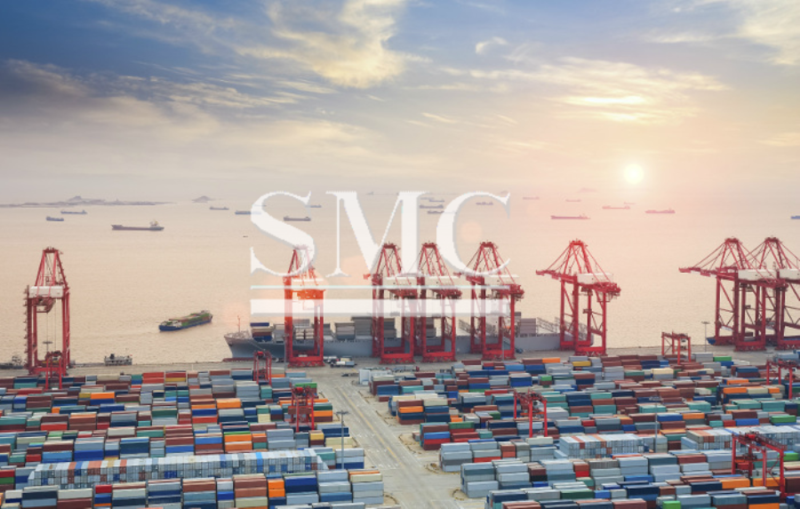 However, when it comes to first-half volume worries, China’s ports remain well ahead of regional transshipment hubs such as Singapore and Hong Kong that have recorded sharp declines compared with the first six months of 2015. Hong Kong’s container throughput fell 10.5 percent in the first half, continuing a steady decline that has seen the terminals registering volume declines every month since July 2014. The container terminals, mid-stream and river trade volume registered 9.16 million TEUs from January to June, with June volume dropping 8.6 percent to 1.6 million TEUs. Although river trade and the mid-stream contribute to Hong Kong’s throughput, most of the city’s volume is from the container terminals at Kwai Chung that handled 7.24 million boxes in the first six months, 9.2 percent down year-over-year. First-half volume at the world’s second-busiest container port of Singapore was also down, falling 5 percent to 15.9 million TEUs. June volume recorded a flat 0.8 percent growth, although that was down 2.6 percent from that tallied in May.